Felisa Holmberg has had a deep connection and love of animals, especially horses, her entire life. Thus, it is no surprise that she has found her purpose helping others find fulfillment and healing by utilizing the powerful and spiritual nature of horses. Growing up in the countryside of Western Washington State, Felisa spent her childhood running and playing in the woods and creeks near her home, with family pets by her side. She gained a deep connection and appreciation for nature. After working for many years as an Administrative Assistant for the City of Aberdeen, she found herself wanting something more. She decided to leave her eleven-year career and follow a deep calling or yearning that sent her on a healing journey to find health and wellness of mind, body and spirit. In 2004, she headed to Boulder, Colorado to become a Certified Rolfer. Through Rolfing ® Structural Integration, she assists others to find healing of physical ailments, aches and pains. Becoming a Certified Rolfer opened the door into the healing world, which led her to become certified in many other healing modalities. Unaware at the time, those experiences were preparation for her true hearts work and bringing her full circle back to her love of horses. In 2012, she became a Certified Equine Guided Education Facilitator. 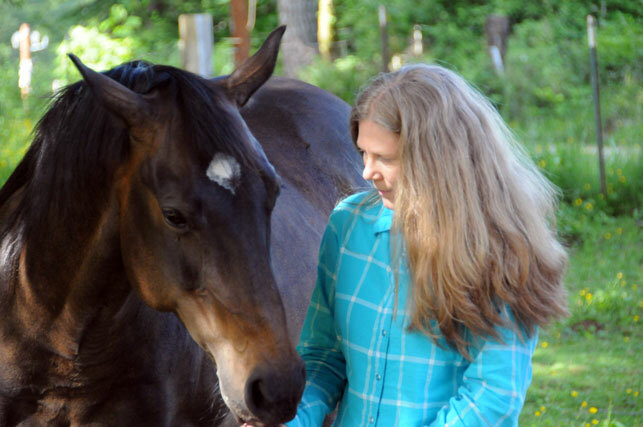 She integrates a lifetime of learning and healing, while connecting animals and humans with EGE. This unique integration inspired the founding of Horses Hope For Humanity, LLC. Felisa believes that freedom comes from truth, and that horses have a way of leading you to such truth; forever leaving their imprint on your soul. The healing starts here, with true nature and true hearts.